Don't miss this little Jewel of a home! One of the most affordable ready to move in home in New Westminster. Modern bright kitchen with under counter lighting, subway tile backsplash & slate accents. Eating area overlooks the mature gardens in the rear yard. 10' foot ceilings make this open floor plan seem very spacious. 2 good sized bedrooms up and 1 on the main floor. Large updated bathroom with slate accents. Basement has laundry room, loads of storage & tidy large workshop separate entrance. New furnace & roof will instill confidence in carefree ownership for years to come. Cedar deck off kit.. 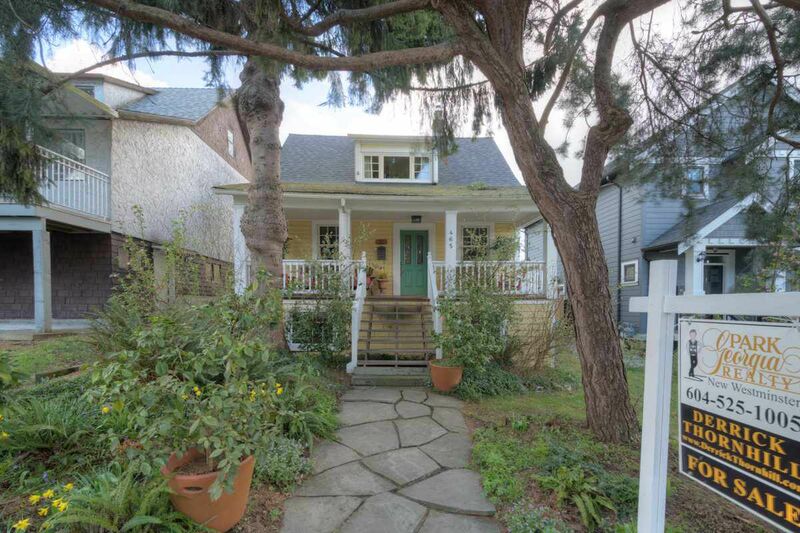 Solid but older double garage & backs onto McDonald Street. A short walk to shopping, transit, Skytrain, & Hume Park Elementary School, swimming pool & dog park. Lots more photos on my website.